Hi! 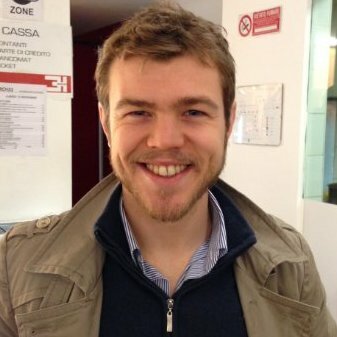 My name is Riccardo Tommasini and I am a PhD Student in Computer Science at Politecnico di Milano. My major research is on Stream Reasoning, i.e. making sense in real time of vast, hereogeneous, noisy data streams. I started my research in the late 2014 with my master thesis titled “Heaven: enabling a systematic comparative research approach for RDF Stream Processing engines”. Currently, I am investigating how to realise an Efficient yet Expressive approach combining deductive reasoning techniques with event calculus. I enjoy teaching about Semantic Web TechnologiesPrinciples of Programming Languages. For more deatils have a look at my teaching page. From September 2009 ti September 2012, I was enrolled in the Computer Science and Engineering Bachelor Degree program at Politecnico di Milan. From September 2012 to April 2015, I was enrolled in the Computer Science and Engineering Master Degree program at Politecnico di Milan. From May 2015 to November 2015, I visisted the Kno.e.sis centre at Wright State University, Dayton, Ohio. I worked on semantic technologies for real-time monitoring of patients with asthma. Here, I also participated to the BigData Tutorial with hands-on classes on Esper and C-SPARQL. I was enrolled in the Computer Science and Engineering Bachelor Degree program at Politecnico di Milan. From July to September 2016 I visited the iMec IBCN labs at University of Gent, Belgium. I worked on cascading reasoning. © 2018 Riccardo Tommasini. Powered by Jekyll & Minimal Mistakes.